In the case of the church of Israel against the members of that church who chose to believe in Christ and to teach the truth concerning Him, the principle is made perfectly plain that no church has any authority, jurisdiction, or right, in, over, or concerning, the faith or the teaching, of any individual member of that very church itself. Acts 4 and 5; 2 Cor. 1:24. There is another remarkable scripture that not only illustrates this total absence of authority, jurisdiction, or right, of any church, but also makes plain some additional principles of the great truth of religious liberty. Here are revealed two persons—God and Caesar: two powers—the religious and the civil: two authorities—the divine and the human: two jurisdictions—the heavenly and the earthly: and only two, to whom, by the divine instruction, is anything due or to be rendered by men. There is a jurisdiction and an authority, a power and a right, that belong to God. 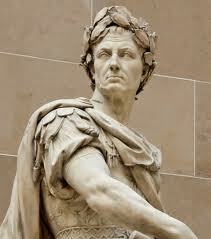 There is also a jurisdiction and an authority, a power and a right, that belong to Caesar. And these are totally distinct realms. There is that which is Caesar’s; this is to be rendered to Caesar, not to God. There is that which is God’s; and this is to be rendered to God, not to Caesar. It is to be rendered to God alone and direct. It is not to be rendered to Caesar, nor to God by Caesar. Originally there was, and ultimately there will be, only one realm, only one jurisdiction, only one authority, only one power, only one right—that of God alone. 1 Cor. 15:24-28. If sin had never entered there would never have been any other realm, nor any other jurisdiction, authority, power, or right, than that of God alone. And even when sin had entered, if the Gospel and been received by each and every individual ever coming into the world, then there would never have been any realm or jurisdiction, authority, power, or right, other than that of God alone. Eph. 1:7-10; 1 Col. 1:20-23. But not all will receive the Gospel; and so not all will recognize the sovereignty, the jurisdiction, the authority, the power, and the right, of God. Not recognizing God’s kingdom, will, purpose, and power, which is moral and spiritual, and which makes moral and spiritual all who do recognize it, these then, being sinful, fail to be even civil. Therefore there must be in the world a jurisdiction and a power that will cause those to be civil who will not be moral. And this is the State, the civil power, Caesar; and this its reason of existence. In the nature of things there are only the two realms and the two jurisdictions: the moral and the civil, the spiritual and the physical, the eternal and the temporal; the one of God, the other of Caesar. There are these two realms and jurisdictions, and NO MORE. And there simply cannot of right be any more. One of these is God’s realm and jurisdiction. The other is Caesar’s. And since by the divine word these are the two, and these two are the only two that there can possibly be, then it follows absolutely and exclusively that to the church there is neither kingdom nor dominion, realm nor jurisdiction, nor is there any place for any. It is therefore perfectly plain that without assumption and usurpation no church can ever have any kingdom or dominion, any realm or jurisdiction. The church is not Caesar’s; and without assumption and usurpation it is impossible for the church to exercise any of the jurisdiction of Caesar. The realm and jurisdiction of Caesar—the State, the civil power—is wholly of this world. The church with all that is of it, is “not of this world.” It is therefore impossible for the church without assumption and usurpation ever to occupy the realm of Caesar, or to exercise any jurisdiction in the things of Caesar, which things are wholly of this world. This being so of the church as relates to Caesar, how much more is it true of the church as relates to God! The church is not Caesar and cannot be Caesar. Much more the church is not God and cannot be God. And has not Inspiration set forth in such unsparing terms as “the man of sin,” “the son of perdition,” “the mystery of iniquity,” “sitting in the temple of God, showing himself that he is God,” THAT CHURCH that has thought to be the kingdom and hold the dominion, to occupy the realm and exercise the jurisdiction, of God. Is anything other than that needed to make perfectly plain the truth that for any church to assume that to her it belongs to be the kingdom and hold the dominion, to occupy the realm and exercise the jurisdiction, of God, is the very ultimate of arrogancy, assumption, and usurpation. But, it is asked, is not the church the kingdom of God?—Yes, it is—provided that by the term “the church” is meant only the divine conception of the church as expressed in the divine word—“the fullness of Him that filleth all in all.” When only that is meant in the use of the words “the church,” then it is indeed the kingdom of God. But when by the “church” is meant some human conception, some religious sect or denomination, some earthly “organization,” then it is not true of any church ever in this world that it is the kingdom of God. But suppose that such a thing as that were really the church, and therefore the kingdom of God; even so, it would still be true that in order for such to be indeed the kingdom of God, it could be so only by God’s being king there. And where God is king, he is king and Lord of all in all. God is never, and can never be, king in a divided kingdom. He never does, and never can, share His dominion with another. Will any one claim or imply that there can in truth and in fact be a kingdom of God without God’s being in truth and in fact king there; and king in all that is there? No, God must be king there or else it is not in truth the kingdom of God. He must be king and Lord of all and in all that is there, or else it is not in truth and in fact the kingdom of God. The realm must be occupied by Him, the jurisdiction must be exercised by Him, the principles must be His, the government must be of Him, the image and superscription must be His, and all this exclusively, or else it is not in truth and in fact the kingdom of God. The soul and spirit of man, as man is in the world, as the world is, is in intent and by right the kingdom of God. And so to wicked and unbelieving Pharisees, Jesus said, “the kingdom of God is within you.” But in lost mankind that kingdom is usurped and that realm is occupied by another. The usurper is on the throne. Exercising jurisdiction that enslaves, debases, and destroys. Thus, while in intent and by right the kingdom is God’s, yet in truth and in fact it is not God’s but another’s. Yet let the lost and enslaved soul only welcome God into that alienated realm to occupy His own place on that usurped throne, and to exercise true jurisdiction there, THEN will that soul and spirit and life, in truth and in fact, as well as in intent and of right, be the kingdom of God. And even then it is the kingdom of God in truth only as God is king in all and over all to that soul. And so it is with the church. The Church OF GOD is indeed the kingdom of God: it is “the fullness of him that filleth all in all:” it is composed only of those who are His. And He is king and sole ruler in this His kingdom. The jurisdiction in this realm is His alone; the principles of the government, and the authority and the power of the government, are His alone. And every citizen of the kingdom owes allegiance to Him alone: and this direct, in Christ, by the Holy Spirit. Every inhabitant of that realm is subject to His jurisdiction alone: and this direct, in Christ, by the Holy Spirit. Every member of this church, which is His kingdom, is inspired and actuated by the principles which are His alone and from Him alone; and is governed by the authority and power of Him alone; and this all direct from Him, through Christ, by the Holy Spirit. Thus all who are of the Church of God in truth, which is the kingdom of God, renderto God all that is of the heart, of the soul, of the mind, and of the strength. These also render to Caesar the things that are Caesar’s— tribute, custom, honor, in his place. Rom. 13:5-7. Thus again it is perfectly plain and certain that neither between God and Caesar, not yet along with them, is there any third person, party, power, realm, or jurisdiction, to whom any man is to render anything. There is no command nor obligation from God to render anything to any kingdom of dominion, to any power or jurisdiction, but that of God and that of Caesar,—these two only. There is no image and superscription of the church, neither is there place for any. And this is only to say that without God, and without God in His place as all in all, any church is simply nothing. And when such church attempts to be something, she is only worse than nothing. And in either case nobody can ever owe anything to any such church. On the other hand, when the church is truly with God; and when He is truly to her all in all; she is truly of the kingdom of God. And yet even then the kingdom, the dominion, the realm, the jurisdiction, the authority, and the power, are all God’s NOT HERS: so that all that is owed or rendered is to God, not to the church. Thus it is strictly and literally true that never in any case is anything owed or to be rendered by anybody to the church, as such. And thus again it is emphasized that there are just two persons, two realms, two jurisdictions, two authorities, two powers, to whom anybody can really owe or render anything—God and Caesar: these two and no more, and no other. This requires, therefore, that the church, to be true to her calling and her place in the world, shall be so absolutely devoted to God, so completely swallowed up and lost in God, that only God shall be known or manifested, wherever and in whatsoever she is or is to do. In the very spirit of Christianity this is certainly true. For this is exactly the calling and attitude of individual Christians in the world—to be so absolutely devoted to God, so completely swallowed up and lost in Him, that only God shall be seen in all that they are: “God manifest in the flesh.” And the church is composed only of individual Christians. Also the church is “the body of Christ;” and Christ is God manifest, to the complete emptying, yea, the very annihilation, of self. And this is the mystery of God. And just here is where the church, both before Christ and after Christ, missed her calling, and her place: she aspired to be something herself. It was not enough for her that God should be all in all. It was not enough for her that the kingdom and the dominion, the realm and the jurisdiction, the authority and the power, the word and the faith, should all be God’s and only God’s. She aspired to kingdom herself; to realm and jurisdiction of her own; to authority that she could wield; to a word that she could speak; and to a “faith” that she could dictate. To satisfy this ambition and to make tangible this aspiration, she rejected God and assumed and usurped the kingdom and the dominion, the realm and the jurisdiction, the authority and the power, that belonged to both God and Caesar. And so being herself neither God nor Caesar, but only a self-constituted and self-exalted interloper, her blundering confusion of things only multiplied iniquity and deepened the curse upon the world. And such precisely is the charge that God lays against her in each age and in both testaments. The glory and the beauty, the honor and the dignity, the authority and the power, the sweet influence and divine attractiveness, that all were hers and that were grandly becoming to her, because of His dwelling with her and being in her—these all she arrogated TO HERSELF and assumed to be OF HERSELF. 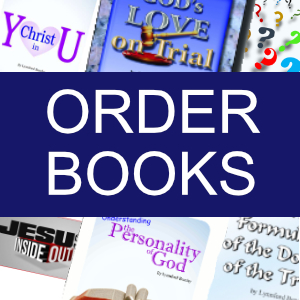 Read Ezekiel 16:11-19; Romans 1:7-9; 2 Thessalonians 2:2-3; Revelation 17:1-6. When God gave to her the true and divine faith that could be “spoken of throughout the whole world,” upon this she assumed that HER faith was to be the faith of the whole world, and so took it upon herself to assign and to dictate “the faith” for the whole world, and to maintain that “the faith” which she dictated was the true and divine. When God gave to her his word in such perfect purity to speak, that when she should speak it would be even as the voice of God, upon this she exalted herself to the claim that HER voice was the voice of God, and that the word which she chose to speak was the word of God because she spoke it. When God gave to her such perfection of truth that her very speaking of that truth was to speak with all authority, upon this she assumed for herself that to HER belonged the power; and even the power to compel all men and nations in all the world to be subject to her and to obey her. Thus in all things she actually thought it a thing to be grasped and held fast, “a usurpation to be meditated, to be equal with God.” But the time has come when every person and everything that would be the church or of the church, must never more think it a thing to be seized upon, a usurpation to be meditated, to be equal with God’ but must think only of how the church shall empty herself, and make herself of no reputation, and take upon herself the form of a servant, and humble herself, and become obedient unto death, even the death of the cross; and all this in order that GOD may be made manifest in His own person and Spirit in her: and through her to the world. Long enough have both states and churches usurped the authority of God, and have assumed to resign in the place of God. Now the time has fully come when there should be, yea when there will be heard on earth the grand words of the glorious voices in heaven: “We give thee thanks, O Lord God Almighty, which art, and was, and is to come; because Thou hast taken to Thee thy great power, and hast reigned.” Rev. 11:17.